Well this is a big week for jazz lovers as the Twin Cities Jazz Festival takes place this weekend. There are links to my guide and the Jazz Fest official schedule in today’s post. Blues and roots fans have plenty to be happy about as well, what with the Devon Allman Project coming to town, along with Jesse Colin Young, and the Verve Pipe. Enjoy yourself. Music Lifts the Spirit! Mateusz Smoczynski Solo @ Jazz Central, Minneapolis. 7pm, 9pm ($15, $ w/Valid Student ID) Smoczynski has been touring the world with the Turtle Island Quartet, playing violin and baritone violin. He was named the best jazz violinist of 2017 by Jazz Forum, European Magazine, and is currently touring behind his album, Metamorphoses, which contains his original compositions inspired by classical music, jazz, and both Polish and American folk music. 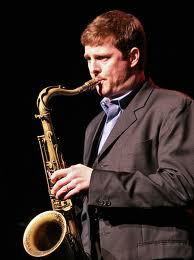 Jim Rotondi/Eric Alexander & Dave Hazeltine Quintet @ Crooners’ Dunsmore Room, Fridley. 7:30pm ($30) Shades of the old Artist’s Quarter! Trumpeter Rotondi, saxophonist Alexander, and pianist Hazeltine were all regulars at the AQ, and are reuniting with AQ owners Kenny Horst on drums and Billy Peterson on bass. Expect a bunch of hard bop staples along with a few originals. Here are Rotondi, Alexander, and Hazeltine in the group one For All. Ghost-Note @ The Dakota, Minneapolis. 7pm ($30, $35, $40) Robert Spot Starlight and Nate Werth have won multiple Grammys, and are known for their work with Snarky Puppy. For this project, they’ve enlisted some friends with vast experience in some funky groups to present music influenced by James Brown, J Dilla, and grooves from West Africa, Brazil, and Afro-Cuban sources. Sam Miltich & Briand Morrison @ The Icehouse, Minneapolis. 7pm ($10 Advance/$12 Door) Two guitar masters interweave lead and rhythm parts while swinging Traditional and Gypsy Jazz. Twin Cities Jazz Festival @ Various Stages and Venues, Saint Paul. This year’s headliners are well-established mainstream acts: Saxophonist Houston Person w/The Emmett Cohen Trio on Friday (see my interview with Emmett Cohen at http://jazzpolice.com. Saturday’s headliners start with Saxophonist Tia Fuller, who has received accolades for her playing, composing, and teaching, and also happens to be Beyonce’s music director. Vocalist Dee Dee Bridgwater closes out the Main Stage on Saturday, performing the music of Memphis, her home town. She’s won three Grammys and a Tony, and in 2017 was named a Jazz Master. You should’ve received my guide in Tuesday’s email, or you can check it out on-line here. Of special note is Javier Santiago, appearing on the Main Stage Friday at 4pm. This performance marks the release of his CD Phoenix. The official schedule, along with bios on the headliners and all other performers can be found here. Jake Baldwin Trio @ The Lexington, Saint Paul. 7pm (No cover) Trumpeter Baldwin is a “young lion” of the area’s jazz community, though the music that he plays at the Lex is well-suited to an audience that’s just looking for background music, those who pay a little attention will be delighted. Saturday Night Jazz @ The Black Dog, Saint Paul. 7pm (Tip Jar) 4pm It’s a whole day’s worth of Jazz at the Black Dog as part of the Jazz Fest. See the Fest’s schedulefor details. Connie Evingson: Ella Fitzgerald’s Johnny Mercer Songbook @ Crooners’ Dunsmore Room, Fridley. 5pm ($20) This time Evingson uses her silken voice to interpret Johnny Mercer songs from the Ella Fitzgerald songbook. Hoaxer @ Crooners’ Dunsmore Room, Fridley. 7:30pm ($15) This collective quartet of young musicians includes Will Kjeer, piano; Peter Goggin, alto; Charlie Lincoln, bass; and Edmund Caitlin, drums. Their 2017 debut album, Crash Test, shows a musical maturity beyond their years, withinfluences that range from jazz standards to rock, avant-garde, electronica and more. Here’s a short clip of Peter Goggin soloing with the band. Will Kjeer Trio @ Vieux Carré, Saint Paul. 8pm ($6) Though he’s only 20 years old, pianist Will Kjeer has been playing professionally since high school, building a solid reputation as an improvisor and composer. He’ll be accompanied by two other sterling young musicians; Charlie Lincoln bass; and Ben Erlich, drums. Cooker John Band on KFAI and @ The 331 Club, Minneapolis. 5pm (90.3 & 106.7FM), 7pm (331 Club – Tip Jar) Folkie/Bluesman Cooker John plays solo, or occasionally in a duo setting nowadays, but back in the 90s he played in a band with Ben Kaplan, Dan Neale, and Bill Grenke, who are reuniting with John for this appearance. Crankshaft & The Gear Grinders @ Como Park Observatory, Saint Paul. 6pm (Free) Picnic on the grass outside the Conservatory while Crankshaft and the Gear Grinders play adrenalin-fueled blues. Plenty for kids to do, as well. Steeling Dan @ Famous Dave’s, Minneapolis. 9pm ($10) If you didn’t make it to Steely Dan at the Excel last Friday, you can catch this 13 piece band, which is what it takes to present the music. The Music of Carole King, Joni Mitchell, & Carly Simon @ Crooners’ Lounge & Supper Club, Fridley. 7:30pm ($25, $30) Three excellent singers – Deb Brown, Rachel Holder, and Jana Anderson – tackle some classic tunes by three outstanding female singer/songwriters. The Verve Pipe Acoustic @ The Dakota, Minneapolis. 7pm ($35, $40) This Michigan-based, multi-platinum alt rock band scored a #1 hit with The Freshmen in 1996, and also charted with the radio hits, Photograph, Hero, Happiness Is, and Never Let You Down. They’ve released 8 albums, including two family/kids records, as well as a couple of EPs and compilation albums. This acoustic performance is a rarity for a club. Blue Book @ Nielsen’s Sports Bar & Grill, 4851 West 123rd Street, Savage. 9pm (No Cover) If you cross the Minnesota River and head to Savage tonight, you’ll get to see a new blues band put together by Steve Clarke, sax & vocals. It features John Della Selva, guitar; Maurice Jacox, sax and vocals; John Kozoil, piano; Dik Hedlund, bass; and Brad Steine, drums. Their repertoire includes classic blues and soul. The Devon Allman Project w/Duane Betts @ The Dakota, Minneapolis. 9:30pm ($40,$45, $55) So what we have here are the sons of Gregg Allman and Dickey Betts giving us the next generation of Southern Rock: two guitars, burbling percussion, and a heavy blues and soul influence. Our very own Nicholas David is part of this tour, which generally includes some Allman Brothers tunes in the encore. Gang of Mischief @ Neumann’s, North Saint Paul. 4pm-8pm (Tip Jar) This all-acoustic aggregation consists of Papa John Kolstad, Doug Otto, Albert Perez, and Dan Schwalbe on guitars; Mike Caravale, upright bass; and Hurricane Harold, harmonica. Phil Heywood & Tim Sparks @ The Hook & Ladder, Minneapolis. 6:30pm – 9pm ($20 Suggested donation to the artists) Two Championship Fingerpickers get together, with stunning results. Jesse Colin Young @ The Dakota, Minneapolis. 7pm ($45, $55, $65) “Come on People Now, Smile on Your Brother, Everybody Get Together, Try to Love One Another Right Now.” Jesse Colin Young is known for more than that anthem from 1967 – he has prospered and received acclaim as a singer/songwriter – but for those who were active during the Summer of Love, Get Together, by the Youngbloods, with Young singing lead, will always be the song that comes to mind when his name is mentioned. The sentiment of the song is still relevant some 51 years later. Too much fun? No way! This week seems to be a “get ready” week for the Twin Cities Jazz Festival – watch for a guide to the fest next week – as visiting jazz artists abound this week. In fact, we’re blessed with three nationally known acts on one night. Blues and Roots lovers will enjoy three stellar visiting artists as well as our own talented musicians, including some outdoor events. It’s almost too much fun. Music lifts the Spirit! Butch Thompson & Dean Magraw @ Vieux Carré, Saint Paul. 8pm ($6) Classic jazz & a little blues from two of the finest musicians in town. Bobby McFerrin’s Circlesongs @ The Dakota, Minneapolis. 7pm ($75, $85, $95), 9pm ($55, $65, $75) Ten time Grammy winner McFerrin had the Song of the Year in the late 80s with Don’t Worry, Be Happy, which the stopped singing when GW Bush’s campaign appropriated it as their campaign song without his permission. He went on to spend some time in the area was he was appointed creative chair of the Saint Paul Chamber Orchestra. He’s appeared as a conductor/vocalist with numerous orchestras around the world and has written film scores. Circlesongs is an evening of choral pieces based on irresistible grooves spontaneously created each night by McFerrin’s 12-piece ensemble, which may contain some area singers, and sometimes by the whole crowd. Peter Kogan Quintet @ Orchestra Hall, Minneapolis. 9:30am (Free) Even if you aren’t going to see Mahler’s 4th at the 11am Coffee Concert, it’ll be worth your while to drop in and catch this fine quintet, led by the former tympanist of the Minnesota Orchestra. Joining drummer Kogan will be Omar Abdul Karim, trumpet; Pete Whitman, sax; Phil Aaron, piano, and Chris Bates, drums. Julian Manzara Trio @ Herbie’s on the Park, 317 Washington, Saint Paul. 6-9pm (Tip Jar?) The bar next door to the Ordway features music on the patio every Friday from 6-9pm. Tonight’s group is led by guitarist Manzana, who admits he is still developing his style, but now plays chords and lead lines reminiscent of Wes Montgomery. He’ll be joined by bassist Charlie Lincoln, home for the summer from Berklee College of Music; and Tarek Abdelqader on drums. Here’s Manzara with a quartet. Ted Olsen Quartet @ Jazz Central, Minneapolis. 8:30pm. Olsen, bass; Javi Santiago, piano; Aaron Hedenstrom, sax; and Miguel Hurtado, drums. Arrive early to catch the 7pm performance of emerging musicians – The Sophia Kickhofel Quintet: Kickhofel, alto sax; Owen Finch, piano; Jackson Wheeler, guitar; Jon Butler bsss; Nick Adams, Drums. Davu Seru: Two Nights of Improvised Music @ Studio Z, Saint Paul. 7pm ($5-$10 Suggested Donation) Drummer Seru performs with Charcoalon Friday night, featuring Milo Fine on piano, and Anthony Cox on bass. On Saturday Seru premieres a brand new ensemble featuring visiting pianist Thollen McDonas. McDonas has been visiting the area for several years for both solo performances and collaborations with area musicians. Elsewhere, he’s collaborated with William Parker, Nels Cline, Rob Mazurek, and other forward-thinking musicians. Others in the new ensemble include: multi-instrumentalist Elaine Evans, and tuba player Benjamin Mansavage-Klein. Saturday Night Jazz @ The Black Dog, Saint Paul. 7pm (Tip Jar) The Tommy Bentz Trio opens at 7pm: Bentz, guitar; Jason McLean, bass; Alex Burgess, drums. At 8:30pm, it’s Tall Tales, featuring the dual guitars of Zacc Harris and Dean Granros; along with Chris Bates, bass; and Jay Epstein, drums. Here’s a tune from the Tall Tales album. Anderson, Goggin, & Lincoln @ 56 Brewing, 3055 NE Columbia Ave, Suite 102, Minneapolis. 4-6pm (Tip Jar?) Enjoy a brew while listening to this trio of young musicians who bonded in the Dakota Combo a few years back. Jordan Anderson, keys; Peter Goggin, sax; and Charlie Lincoln, bass. Peter Goggin @ Jazz Central, Minneapolis. 8:30pm ($10, $5 w/valid student ID) Goggin is a fiery college-age alto saxophonist who has been playing with various groups around town. Monday nights at JC are set aside for artists to explore their own compositions and arrangements. Broken Shadows @ The Icehouse, Minneapolis. 9:30pm ($20) Tim Berne, alto; Chris Speed,tenor; Reid Anderson, double bass; Dave King, drums. Berne & Speed are NYC-based musicians who visit town fairly regularly to play with area musicians. Anderson & King are 2/3rds of the Bad Plus. Broken Shadows is dedicated to reinterpreting the music of folks like Ornette Coleman, Dewey Redman, Charlie Haden, and Julius Hemphill, all of whom created avante-garde music from the folk-art influences of their Southern and Heartland beginnings. Harold Mabern/Eric Alexander Quartet @ Vieux Carré, Saint Paul. 6pm, 9pm ($30, $35) Intergenerational hard bop from pianist Mabern who was present at the beginning, and saxophonist Alexander who has had an incandescent career as sideman and leader, having played on or led more than 60 albums. Jim Rotondi/David Hazeltine Quartet @ Crooners Dunsmore Room, Fridley. 7:30pm ($25, $30) Trumpeter Rotondi has released 16 albums as a leader, and many more as a sideman, including 16 with pianist Hazeltine & Eric Alexander, and 7 on Alexander -led recordings. Hazeltine may be the most recorded contemporary jazz pianist of our time. They’ll be supported by Billy Peterson, bass; and Kenny Horst, drums. Machinery Hill on KFAI and @ The 331 Club, Minneapolis. 5pm (90.3 & 106.7FM), 7pm (331 Club – Tip Jar) Machinery Hill has been around a long time, having won the 1996 Minnesota Music Award for Best World Beat CD, so they know how to please an audience with their blend of folk, ska, klezmer and celtic tunes, and even a touch of rock n’ roll. Jon Rodine & Friends @ The Hook and Ladder, Minneapolis. 6pm (Free) Rodine is an artist who deserves more exposure. He sings groove-driven rock n’ roll and country, often using sources like Dan Penn, Doug Sahm, & Dylan, though tonight he’ll concentrate on his own compositions, such as those in his latest album, Last Star. The Dieselfitters @ Minnehaha Park, Minneapolis. 7pm (Free) The Dieselfitters play roots, rock, honky-tonk, and “post-modern twang” with Clay Williams, guitar; Dan Peterson, bass; and Mike Sandell, drums. Galactic Cowboy Orchestra @ Mears Park, Saint Paul.6:30pm – 9:30pm (Free) This is the 15th year of Music in Mears, and the GCO make for fine listening on a summer night, what with their fusion of bluegrass, metal, and jazz. You can never tell where they’ll go from one tune to the next. Brianna Lane opens. The Blasters @ The Turf Club, Saint Paul. 7:30pm ($20 Advance, $25 Door) The Blasters burst on the scene in the early 80s with music that was appropriate to their name. Phil Alvin and his full-bore vocals still bring on the big beat of American Music and more. Incredible Shrinking Men @ The Underground Music Cafe, 408 3rd Ave, N, Minneapolis. 7pm – 9pm (Tip Jar?) Jack Thibault & Tim Gadban have been around since the 70s heyday of Minnesota music. They play obscure folk/blues with the occasional nod to rock n’ roll, from the likes of The Band, Frank Zappa, Mose Allison, Lou Reed, and Gram Parsons, while throwing in a few originals to boot. Note that this is a new outpost for the UMC. Pat Donahue & the Prairie All Stars@ Vieux Carré, Saint Paul. 9pm ($10) Versatile guitarist Donahue has won the National Finger Picking Championship, was a 20-year member of the house band for Prairie Home Companion, played with Chet Atkins and has generally established himself at home in many genres. Tonight he’s joined by some of his former band members from PHC. RAMM Band @ Schooner’s, Minneapolis. 8:30pm (Tip Jar) Classic Motown, funk, and rock n’ roll from Paul Mayasich, guitar; John Iden, bass; and Donald “Hye Pockets” Robertson, drums. Shannon Curfman @ Famous Dave’s, Minneapolis. 9pm ($10) Scorching guitar and hard-earned vocals from blues/rock guitarist Curfman, who grabbed everyone’s attention with her major label debut Loud Guitars, Big Suspicions back in 1999, when she was still a teenager. Since then she’s sold a quarter million records recorded with John Fogerty, Bob Seger, Buddy Guy, Keb Mo and more, and has been a touring background singer and guitarist for Kid Rock since 2010. Katy Vernon Band @ The Lake Harriet Bandshell, Minneapolis. 5:30pm (Free) Pack a picnic and listen to the folk/pop stylings of ukelelist Vernon as planes pass overhead, the smell of grilled meat fills the air, sailboats cruise the lake, and children scamper about on a summer evening. Sonny Landreth @ The Dakota, Minneapolis. 7pm ($35, $40, $45) This is a unique opportunity to see a master of the slide guitar, whose acoustic and electric slide playing provide a primer on the style. The “King of Slydeco” cut his musical teeth with Clifton Chenier. He’s collaborated with Eric Clapton, Mark Knopfler, and Derek Trucks, and has won a number of blues music awards as well as Grammy nominations. Ens? Daiko @ Ecolab Plaza, Downtown Saint Paul. Noon (Free) Japanese Taiko Drumming to elevate your lunchtime. Well, here we are on the cusp of summer. Since 1968, we have reserved the last weekend in May to remember and honor those who have served our country. There will be some quiet moments, some high-flown speeches, and gatherings of friends and family in backyards, parks, and around outdoor grills. 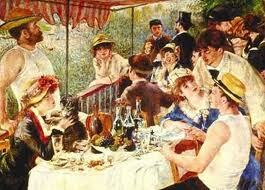 Hopefully, you’ll enjoy your time together as much as the folks at Renoir’s Luncheon, above. It’s also a weekend with a rich choice of musical options, including a New York sax player, two CD release parties, and some familiar, and entertaining friends. Take some time to recognize and remember those who have served. Then get out the barbeque, and don’t forget to enjoy and support the wonderful musicians in our area. 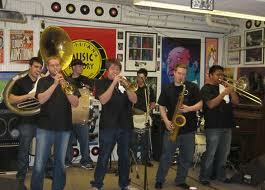 Jack Brass Band on KFAI’s House Party (5pm) and @ The 331 Club, Minneapolis. 7pm – 9pm (tip jar) I’ve extolled the virtues of JBB before – the clarion trumpets of Zack Lozier and Adam Meckler, the supple trombone of Scott Agster, the booming bass drum of Mike Olander, and the pure musicianship of the other members of the band. Not to forget their material, which ranges from traditional New Orleans tunes to Mardis Gras favorites to funk n’ soul hits. 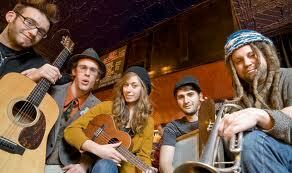 Listen in to KFAI, 90.3 or 106.7 FM at 5pm and then head over to the 331 Club to hear them in person. Santiago, Hurtado, & Smith @ The Artists Quarter, Saint Paul. 9pm ($5) A new generation of jazzers is coming up, and they’re hot. Case in point: Javier Santiago, piano; Miguel Hurtado, drums, and Chris Smith, bass. I recall introducing them at the Hot Summer Jazz Festival when they were still in high school some years back. Now, they’ve completed study at some of the nations’ top music schools and each of them is making a name for himself. Santiago and Smith are both working with some of New York’s hot talents, with Hurtado has returned to the Twin Cities, where he’s been working with Davina and the Vagabonds and others. Nichola Miller @ Hells’ Kitchen, Minneapolis. 6pm (No Cover) Begin your weekend with the sass and sophistication of Miller’s vocals, delivering standards with panache. Jazz Front @ The Nicollet, Minneapolis. 7pm – 8pm . Jeffrey Dunitz, drums, Vince Hyman, vibes, Eric Graham, bass. A quick set at the coffeehouse for this trio of talented players. Young Lions Showcase @ Studio Z, Saint Paul. 7pm ($10) This is final show of the season for Jazz at Studio Z, and it’s a showcase of three bands, which will assure you that the future of jazz in the Twin Cities is in good hands. Hear the Adam Meckler Quintet, the Miguel Hurtado Group, and the Max Corcoran Project. Eric Alexander @ The Artists Quarter, Saint Paul. 9pm ($18) A Memorial weekend visit to the AQ is an annual event for Alexander, whose warm tone on his tenor saxophone has earned him praise and fans. Whether blowing as a sideman or a leader, Alexander’s hard bop approach to playing is always imaginative and melodic. Jazz Mass @ Episcopal Church of St. John the Evangelist, Portland & Kent, Saint Paul. 10AM. Here’s a way to get a double dose of spirituality, at least if you consider listening to jazz a spiritual experience. Tanner Taylor, piano & keys; Mac Santiago, drums; Chris Bates, bass; and Evan Montgomery, guitar will be providing the music. Zacc Harris Trio 5th Anniversary @ The Riverview Wine Bar, Minneapolis. 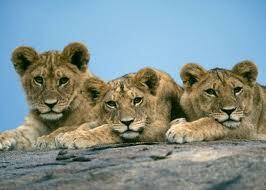 (Tip Jar) if the weather is nice, you can bet this trio will be out on the patio. Harris, Matt Peterson (bass) and Pete Hennig (drums) create music that rewards the listener, even with the distractions of dog walkers, cyclists, and cars going by, not to mention folks chatting over their wine and tasty treats. They’ve been doing this weekly gig for five years now, and you’d be hard pressed to find a more perfect way to enjoy an early summer evening. Paul Renz Quartet w/Anders Bostrum @ Brit’s Pub Long Room, Minneapolis. 7pm. ($15) Renz is a prolific recording artist whose way with a guitar has earned him fans both here and up and down the East Coast. Tonight, Renz is bringing in long-time friend and cohort, Anders Bostrum, an in-demand flute player on Broadway. They’ll be backed by Renz’s rhythm section of Andy Shuster on bass, and Nathan Fryett on drums. Vicky Mountain Quartet @ The Artists’ Quarter, Saint Paul. 9pm ($5) Vicky has the history and chops to successfully take on all manner of material, from bebop scatting, to Fats Waller, Ray Charles, and the Clovers. She’ll have Chris Lomheim on piano, Jim Chenoweth on bass and Kenny Horst on drums. Sure to be fun for both the audience and the musicians. Listen to her music here. 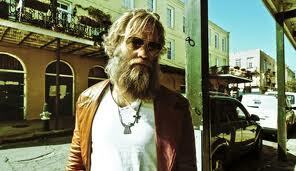 Anders Osborne @ The Varsity Theater, Minneapolis. 7pm. ($20) Originally from Sweden, Osborne has lived in New Orleans since 1985, soaking up in music and becoming a favorite around Town. He’s an accomplished composer, penning a #1 country hit for Tim McGraw, and a couple of tunes on a grammy winning album for Keb Mo. New Orleans’ Offbeat Magazine named the guitarist/composer/performer Best Guitar Player two years in a row, and featured him on its cover last year. “Black Eye Galaxy,” his latest on Alligator Records, ranges from raging to unabashedly confessional to hopeful. At times, it’s reminiscent of the best of 70s rock, with a bit of heavy metal (i.e., Black Tar) thrown in for good measure. Trio Bossa Nova @ The Red Stag, NE Minneapolis. 10pm (No cover) Three members of Ticket To Brazil deliver sensuous sounds for your late night. 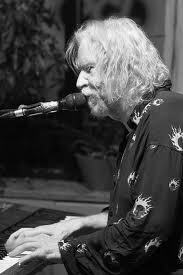 Willie Murphy Solo @ The Black Dog Coffee & Wine Bar, Saint Paul. 8pm – 11pm. (Donation – $5 suggested) The highly talented, sometimes irascible, but always entertaining Murphy playing and singing songs he likes – rock n’ roll, R&B, blues, doo wop, standards, and originals. By the time he’s done, you’ll like them too. Patty Peterson & Friends @ Bunkers, Minneapolis. 9pm ($10) Patty is equally at home with jazz and R&B. Expect a bunch of the latter tonight as she’s joined by brother Ricky Peterson on Hammond B-3 and saxophonist Steve Cole, who’s played with Boz Scaggs and Larry Carlton, among others, and records for Universal. Patty’s usual cohorts include Paul Peterson on bass, Billy Franze on guitar and Bobby Vandell on drums. Papa John & the Cool Club of East Lake Street @ Merlin’s Rest, Minneapolis. 8pm (Tip Jar) Blues, Swing, Jazz, Standards. With Sam Fiske, trumpet, Tom Lewis, bass, Deano Mikkelson, guitar. Relaxed music doesn’t need to mean boring. Case in point: Papa John and his crew. They can swing a standard, have fun with gypsy jazz, and include friends who sit in, while still creating imaginative riffs, melodies, and solos. This neighborhood bar has no TVs, but you must bring an ID if you want alcohol. Jack Klatt & the Cat Swingers CD Release @ The Cedar Cultural Center, Minneapolis. 8pm ($15) Klatt and his band take country blues, swing, and ragtime and creates a highly entertaining blend of traditional and original music. On the new CD, “Mississippi Roll,” Klatt pulls in an older generation of musicians – Cornbread Harris, Spider John Koerner, Dakota Dave Hull, and Charlie Parr – to collaborate on a few of the numbers. Cornbread and Dakota Dave will be making guest appearances tonight. The Cactus Blossoms open with their terrific take on classic country music. Grolar Bears Vinyl Release Party @ The Triple Rock Social Club, Minneapolis. 8pm ($5) Interest in older musical forms continues with this Blaxploitation Funk Band, anchored by a trio, but ballooning at times to 19 people!. “Cos: The Original Motion Picture Score” is the product being released. It draws on early 70s Blaxploitation scores and soundtracks for inspiration. “Lucious Fox,” the radio single from the album, features all of the earmarks of the genre: funky drums n’ bass, hypnotic Rhodes electric piano, strings, and chorus. Perfect to run under a collage clip of some anti-hero’s day/night in the heart of the city. In fact, you can see a cheesy ten minute trailer for this imaginary film at: http://vimeo.com/35797845 The evening will be helped along by the Hipshaker deejays spinning soul 45s in between opening acts The Max Corcoran Project and Saltee.